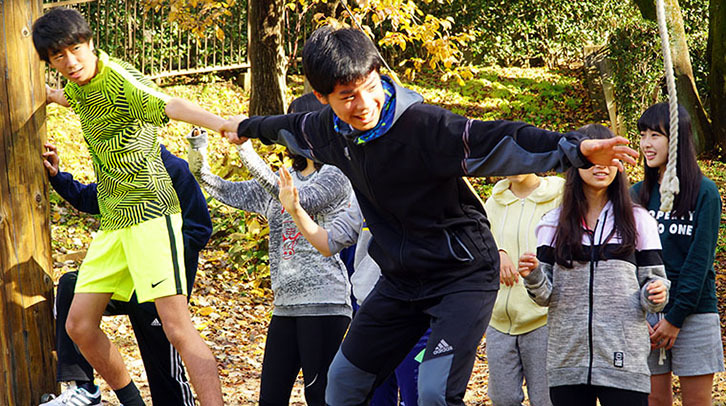 The Tamagawa Adventure Program (tap) is a program designed towards human development in the great outdoors, in which students are required to work in groups. Students build trusting relationships with friends and find their roles in the team. TAP is based on Project Adventure (PA), a highly successful educational method in the United States. TAP gives students a lot of experience that are essential to their development: facing their inner selves, trying difficult tasks, cooperating with friends, and feeling a sense of accomplishment. Trying various activities in a group aims to promote students' sociability, that will be useful in their future, and to develop their global mind.